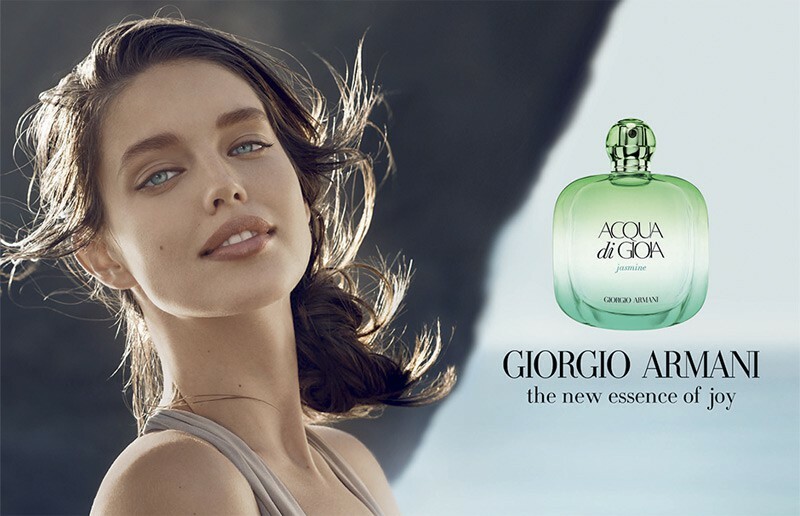 Top model Emily DiDonato continues as the face of Armani’s ‘Aqua di Gioia’ line with a limited edition Jasmine scent. The American beauty has fronted brand’s for the campaign dating back to 2010. The new Aqua Di Gioia Jasmine fragrance features notes of water jasmine, brown sugar, cedar and Musk. Emily also recently posted some updates to Instagram on set of upcoming shoots for Maybelline and other projects. Emily Didonato is all smiles on set. Photo via Instagram. Emily DiDonato shows off a major beauty look on set of Maybelline. Photo via Instagram. Emily DiDonato rocks a red lip on set of Maybelline. Photo via Instagram. Emily DiDonato. Photo via Instagram.